In 2014 London Borough of Newham sought to convert the East Ham Fire Station to residential accommodation. 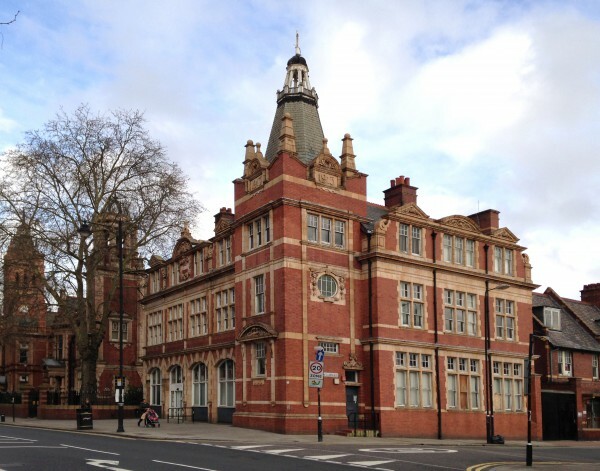 The building is part of the East Ham Town complex, a conservation area that underwent a number of re-use and conversion projects, following the creation of a masterplan in 2011. 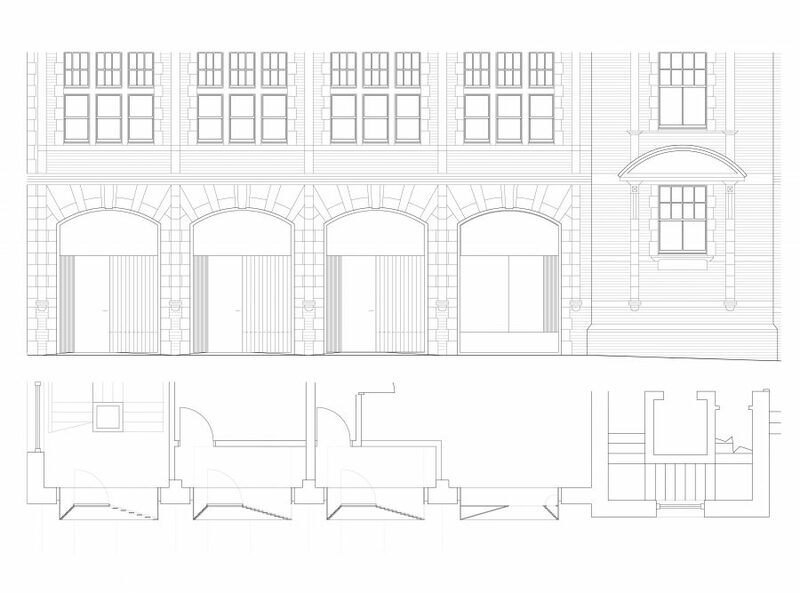 We were invited to make a proposal for redesigning the large door openings of the Station at street level, leading to the new flats above. Our design transforms the engine pump door openings to strongly framed thresholds with spatial depth. Each door is extruded by an identical framed bay, pronouncing the elegance of the existing arches. 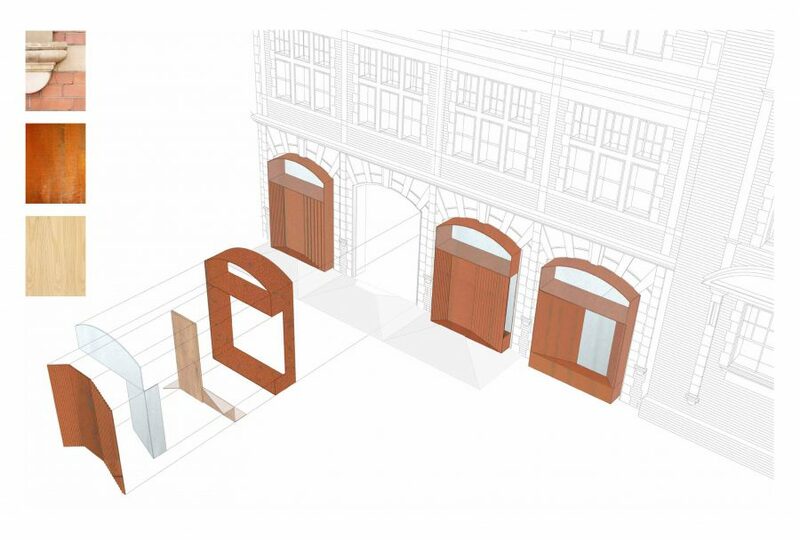 The new thresholds aim to celebrate the transition from street to home: residents are welcomed into four recessed volumes, sub-divided slightly differently to respond to specific requirements for access, light, views and activity within, and accommodating several practical elements: doors, benches, windows, slotted screens for ventilation, door bells and letter slots. We proposed that the bays are made from cast iron or CORTEN steel. Each unit would be prefabricated and craned into place for quick installation. In selected areas internally the steel would be lined with timber to create more tactile surfaces. 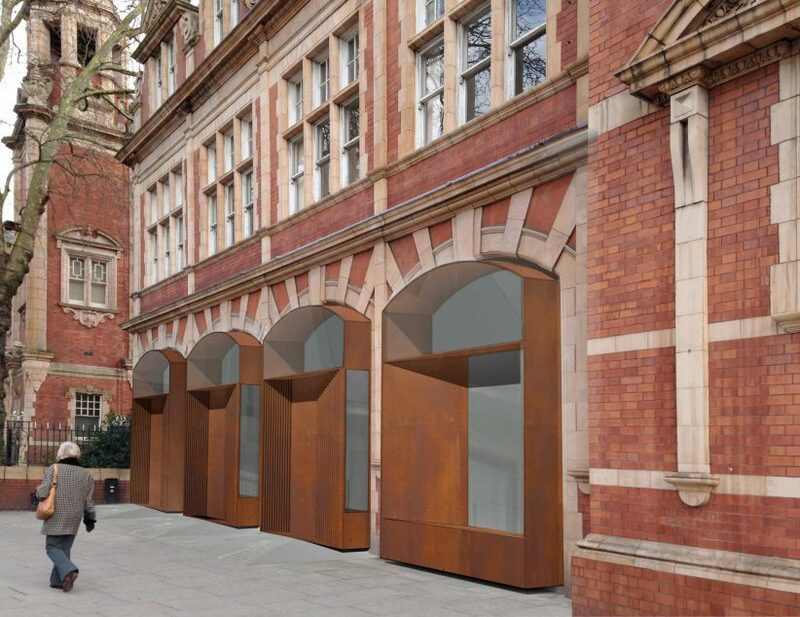 Extruding the four threshold volumes beyond the existing envelope expresses a contemporary intervention that is nonetheless responsive to the listed building. The color of the steel is in effective dialogue with the color of the existing brickwork by Gibbs and Canning. The glazed panels at the top line up with the horizontal stone binding of the building while each bay has an implied vertical center that corresponds to the symmetry of the arch but breaks it with variations on each side.